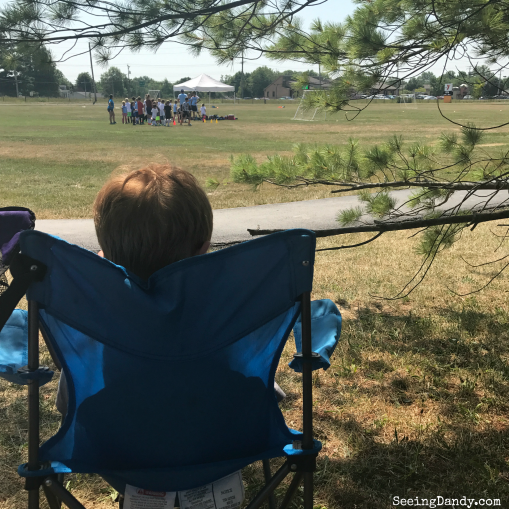 I’m sure you noticed on Instagram that all last week my oldest attended a British soccer camp. Sure it was a really rough heat wave here in St. Louis so it made for a difficult time for the kids to be outdoors but it’s a memory that will last a lifetime! Can I just tell you that this was such an adventure for him and definitely one that we will be repeating? He was asked to attend the camp’s morning sessions for free to help promote the program for Challenger Sports. He loves soccer and always plays for his school so I knew that it would be something that he would really be interested in doing. We actually paid the extra fee for him to be in the extended session that went until 3pm each day. I’m so glad that we did that because he had such a blast and learned a lot of new soccer skills! With Challenger Sports there are so many different programs to choose from. The summer camps are available in all different levels and types. Coaches and staff come from all over the world to teach kids valuable soccer skills. Most stay with host families for the entire summer. Our son’s camp had 2 coaches from England and one from Kansas City. The camp was held at a local YMCA here in St. Louis. 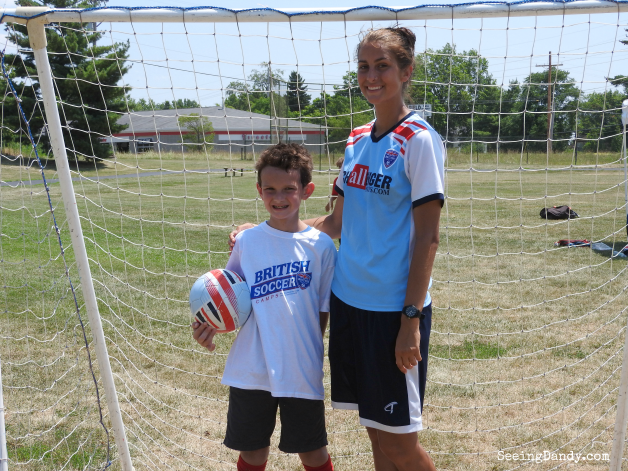 Kids get a special soccer ball and t-shirt when they participate in the camp. They also make lots of new friends! Our son was even surprised to find another kid from his school soccer team there! 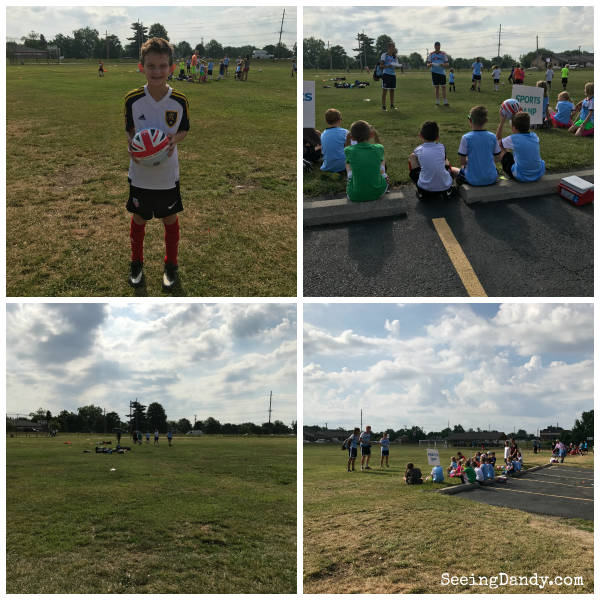 All week the kids played games, learned disciplines, and were able to fine tune their soccer abilities. They even learned some new techniques and just overall had a great soccer time! At the end of the week we parents and families were able to attend the World Cup to cheer on our teams. For sure looking forward to British soccer camp again next summer! 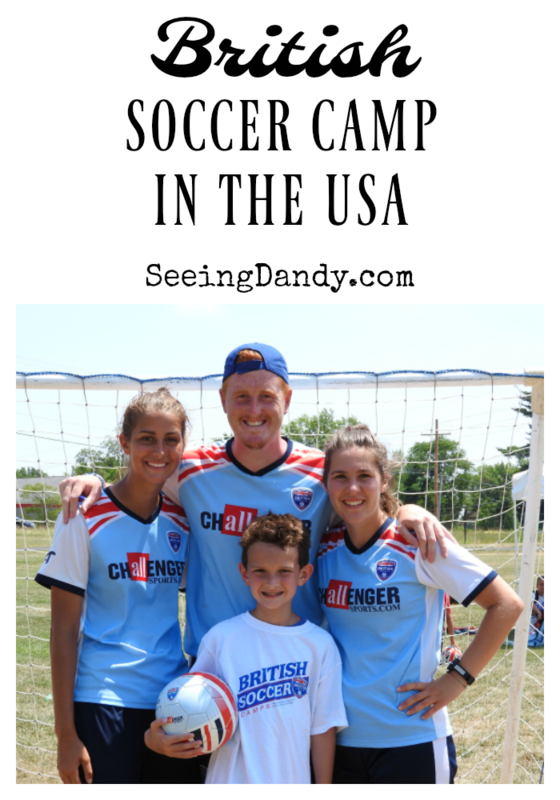 Want to find a British soccer camp in your area? Be sure to find a program near you HERE.